Without a definitive answer from the University to either confirm or deny the allegations against Armstrong, professors in the department have worried that the rumors are already impacting the reputation and standing of Columbia’s history department. History professor Charles Armstrong, who specializes in modern Korean, East Asian, and international history, has faced accusations of source fabrication, plagiarism, and falsifying sources in his 2013 book, “Tyranny of the Weak: North Korea and the World, 1950–1992,” since 2016. In November 2016, professor Balazs Szalontai of Korea University filed a formal complaint to Columbia alleging that Armstrong’s book included 76 cases of academic misconduct. In 2017, Szalontai discovered a number of additional problems in the work, raising the total number of cases to 98. In 2017, professor of East Asian Studies at Oberlin College Sheila Miyoshi Jager publicly resigned from the advisory board of the Wilson Center’s Hyundai Motor-Korea Foundation Center for Korean History and Public Policy in protest of Armstrong’s actions. While Szalontai filed the case to Provost John Coatsworth, the University’s Office of Research Compliance and Training handles investigations into allegations of plagiarism or fabrication. According to the University’s Institutional Policy on Misconduct in Research, investigation should be completed within 120 days of its initiation, and an adjudication should be completed within 60 days of its initiation. Two years later, the University has declined to comment publicly on the case, neither defending nor confirming the persistent allegations. 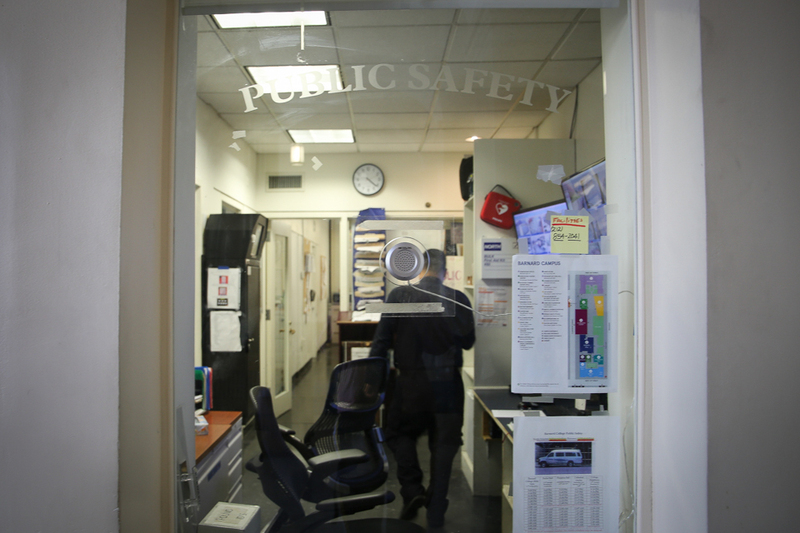 Because Columbia’s investigations into academic integrity are confidential, if an investigation has been underway since 2016, its details would remain undisclosed until a decision had been made. 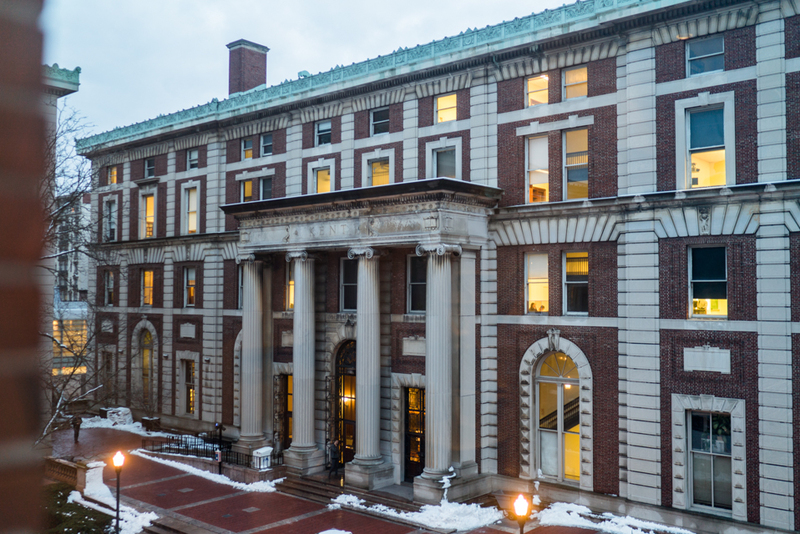 A number of other professors, however, both within Columbia’s department and outside the University, have pointed to the allegations as undermining Armstrong’s academic integrity. The case has also highlighted the broader issue of addressing sensitive issues such as research integrity due to the close-knit, protective nature of academic communities. Scholars have increasingly questioned whether Columbia should continue to remain silent on the allegations, which have become public on social media, sparking concerns over the history department’s reputation. 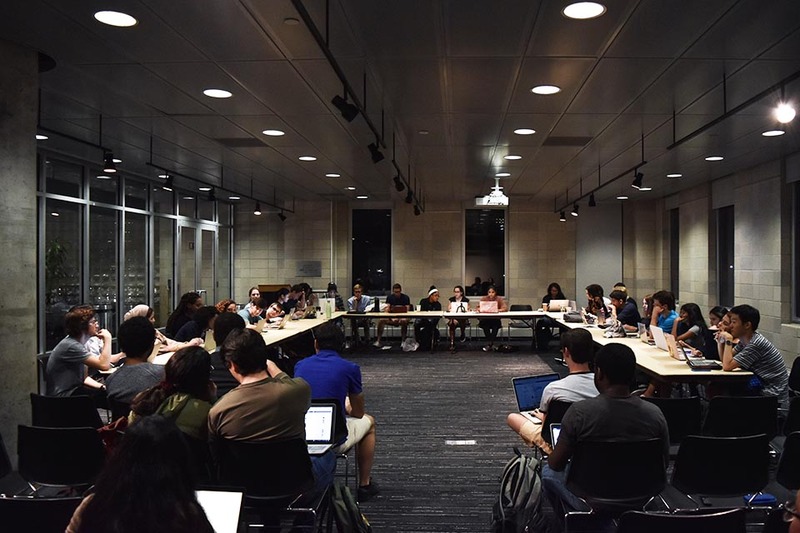 This debate has brought to light concerns from faculty over how the accusations could impact the department’s reputation and its students. The chair of the history department declined to comment on the allegations of plagiarism or their impact on the department. In response to the public criticism, Armstrong made 80 corrections to the original book, and it was reprinted in 2017. Szalontai, however, claimed in March 2018 that the reprint still contained as many as 29 invalid citations, of which 26 involved plagiarism. Szalontai published another article on academia.edu outlining the problems in the reprinted edition, especially taking issue with the fact that the new version was defined as a reprint rather than a corrected edition. In a now-deleted blog post, Armstrong wrote that he believes his corrections have sufficiently addressed concerns of the academic community. “I devoted considerable time, effort, and resources to rechecking my work and correcting any errors found. … I deeply regret the errors in the initial edition of the book, and I have done my utmost to address all the issues raised and will carry these lessons forward in my future scholarship,” Armstrong wrote in an email to Spectator. Meanwhile, Armstrong received the American Historical Association’s John K. Fairbank Prize, which honors annually the best book in East Asian history, in 2014 but returned it in 2017 after the AHA identified citations that “did not meet professional standards.” Armstrong returned the prize of his own accord, a fact AHA Executive Director James Grossman confirmed in an email to Spectator. Nevertheless, Armstrong also received a President’s Global Innovation Fund grant, which supports faculty who want to work with Columbia’s eight global centers for research or teaching, from Columbia for his work in 2017. He continues to be frequently cited by numerous media outlets as an expert on issues related to North Korea, including the New York Times, the Washington Post, and USA Today. 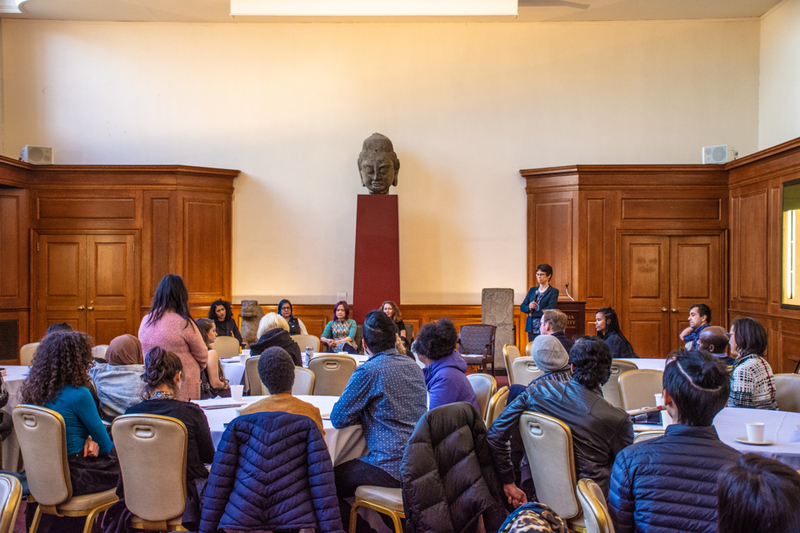 “Until this issue is resolved, one way or the other, it would not be advisable for a graduate student—for a student to come to Columbia to study Korean history. ... With this cloud hanging over the professor, it would be imprudent for anyone to come study here,” said a history professor at Columbia, who spoke to Spectator on the condition of anonymity. Because faculty remain in the dark, the allegations are only bolstered by rumors spread throughout the academic community. According to Armstrong, however, the department’s reputation has not been dampened by the rumors blowing up on social media. “As far as I know, the number of applications has not been affected,” he said. Javier Cha, an assistant professor of East Asian studies at Seoul National University, pointed to the case as an example of the close-knit, protective nature of academia that discourages conversation about academic integrity out of a sense of establishment, protecting scholars’ reputations. But Armstrong still has staunch defenders in the academic community, who attribute the errors to sloppiness in citations rather than intentional source fabrication or plagiarism. “The mistakes did not undermine the basic argument of the book. The basic argument stands. It’s a good argument. We distinguish between the argument and the footnotes used to support it,” said Donald Baker, professor of Korean history and civilization at the University of British Columbia. According to Baker, the issue comes down to collegiality and respect. Even beyond Columbia, scholars have questioned the University’s reputation in light of its public inaction since complaints were filed. “I have every reason to believe that Columbia University, one of the most respected institutions of higher education in the world, will thoroughly and impartially investigate this case. It should take appropriate corrective measure in accordance with its findings. The longer the investigation and actions are delayed and Columbia University stays silent, the greater the danger that professor Armstrong’s transgression will not be seen as such,” Jager wrote in an email to Spectator. Staff writer Khadija Hussain can be contacted at khadija.hussain@columbiaspectator.com. Follow Spectator on Twitter @ColumbiaSpec.